The simplest starting point for any user is the basic Aggregation API, where you can pull together all of the best customer data based on minimal inputs. This is for the more advanced users that want to build their own analytics. Are you looking for Yahoo or Google data? Geolocation data? Or demographics by email? 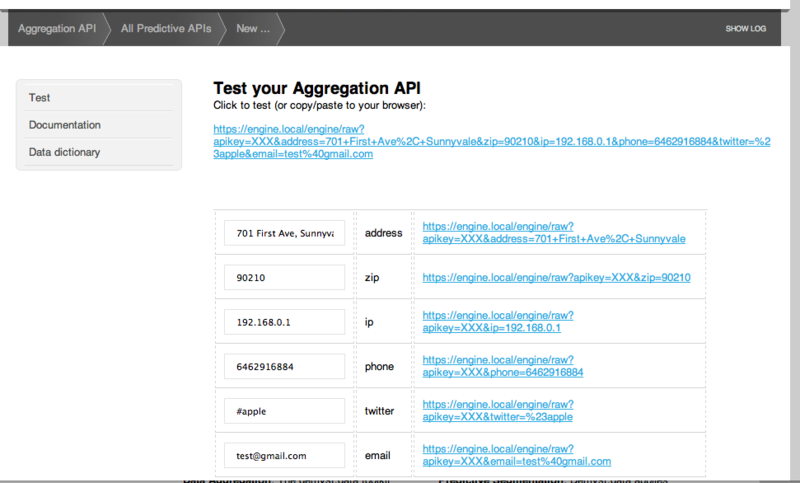 This Aggregation API may be a great way to start. This was always available, but we’ve now given it the pride of place that it deserves and a permanent, static endpoint (/engine/raw). This entry was posted on Friday, October 21st, 2011 at 6:06 am and is filed under Uncategorized. You can follow any responses to this entry through the RSS 2.0 feed. Responses are currently closed, but you can trackback from your own site.